If you have an account then you can sign in. The KONG Air Squeakers combine two classic dog toys - and puts them together in an instantly recognizable shape to create the perfect fetch toy. 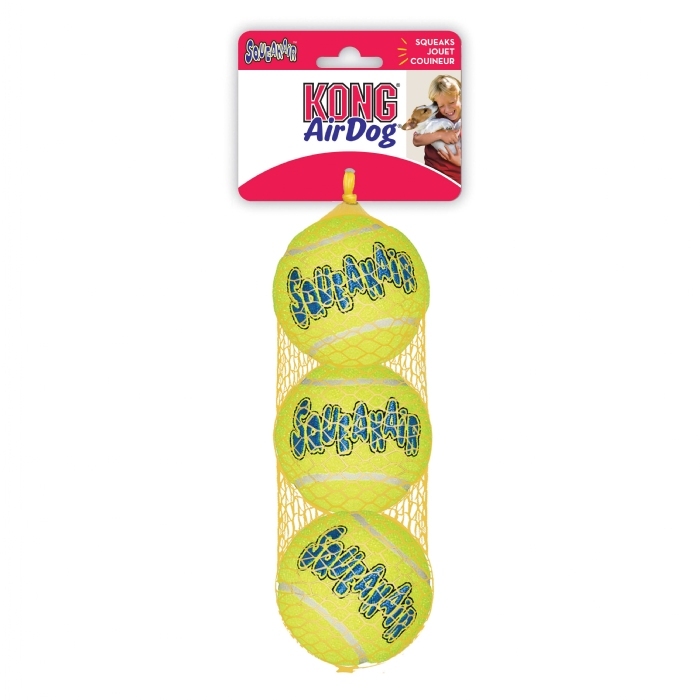 The durable - high-quality Air Squeaker will not wear down a dog's teeth since they are made with a special nonabrasive felt - compared to the abrasive material on normal tennis balls. We deliver to UK Mainland ONLY (please see delivery coverage map Here). All orders are fully Tracked & Traced (signature required) from dispatch until delivered for security and to ensure a better quality of service. Please Note: We offer same day collection for items in-stock however please allow 3-5 days for items which are out of stock at nominated store. *Working days are Monday-Friday 8am-7pm inclusive, excluding Saturday, Sunday and bank holidays. For our Next working day delivery option, orders must be placed on website before 12 noon (same day dispatch for orders placed before 12 noon - Monday to Friday). Please allow 2 additional days for some rural/remote locations. Check postcode checker below to see if your postcode qualifies for next working day delivery. There are a small range of products that cannot be delivered to your home due to legal restrictions or size/weight issues, although they can be purchased online, they must be collected from the local strore of your choice. Please enter your Questions below.